1. Small volume. Less area taken. Lower cost. 2. 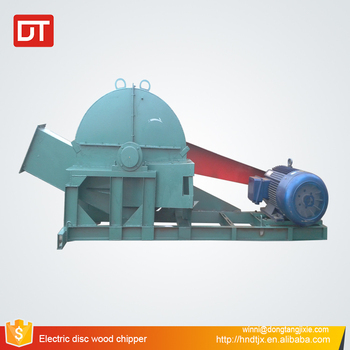 Lower energy consumption comparison to the same capacity for drum wood chipper. 4. Different humanized feeding way design(up incline type or horizontal type) and different discharging way(upper discharge type and bottom discharge type) to suit your different materials. 5. Wide application. 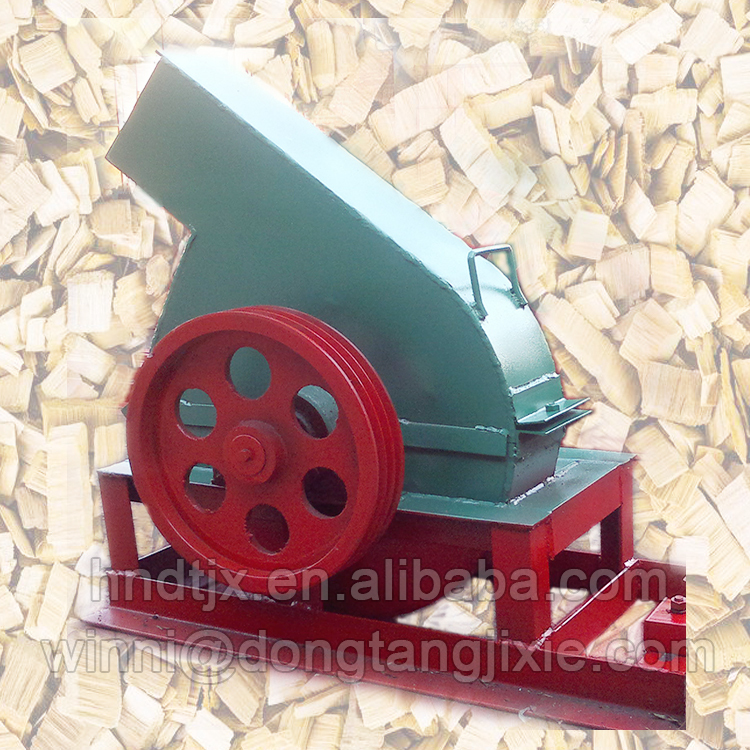 This machine can handle wood log, branches, coconut shell or meat, etc. 6. Easy operation. Less maintenance. Excellent end product quality. 7. Machine can be driven by electricity or diesel engine. 8. 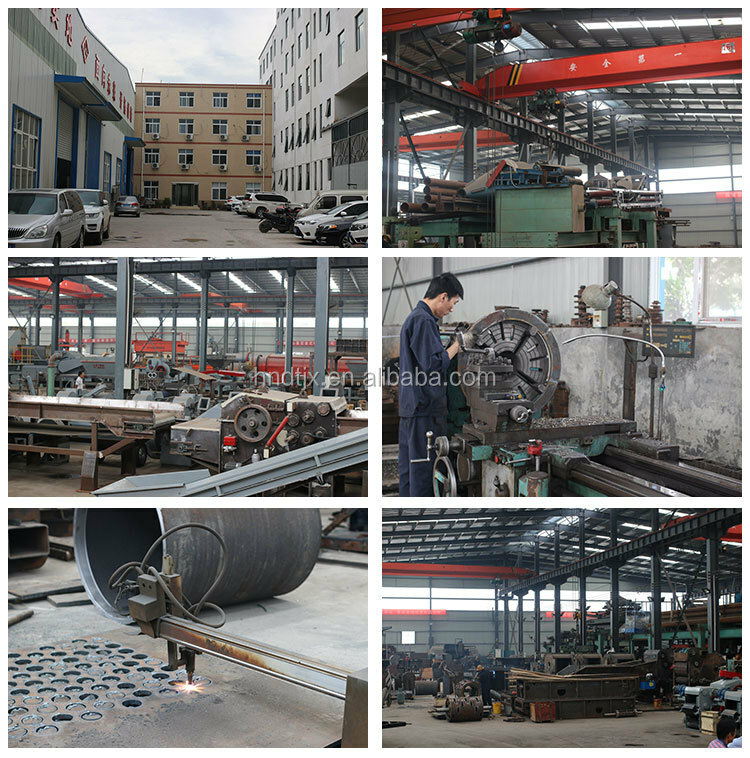 Feeding conveyor and discharging conveyor are optional. Mobile wheel is also available for your choice. 9. Reasonable safe guard covered on flying wheel. 10. Customized voltage and frequency according to you local use to ensure the free running in your working site. 11. 99% assembling. When you receive them, just let your electrician to connect the power and you can start production. 12. Multiple capacity are available for your choice. 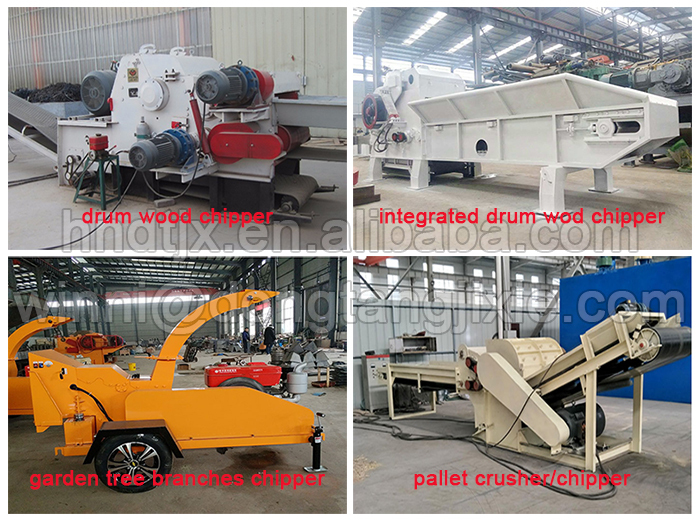 The machine is applicable to paper mills, biomass fuel power station, particle board factory, fiber board factory and wood chip production base. 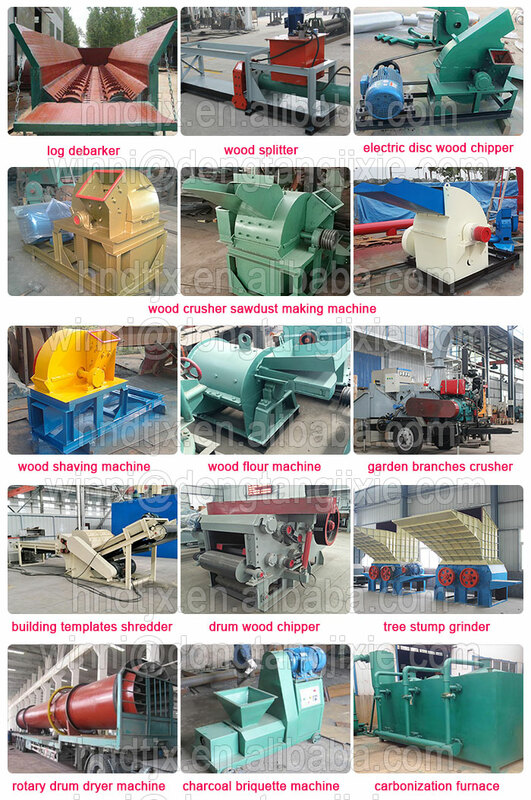 The general specifications of wood chips: length 20-50mm, thickness 2-15mm, width is not limited, but do not generally more than 20mm. 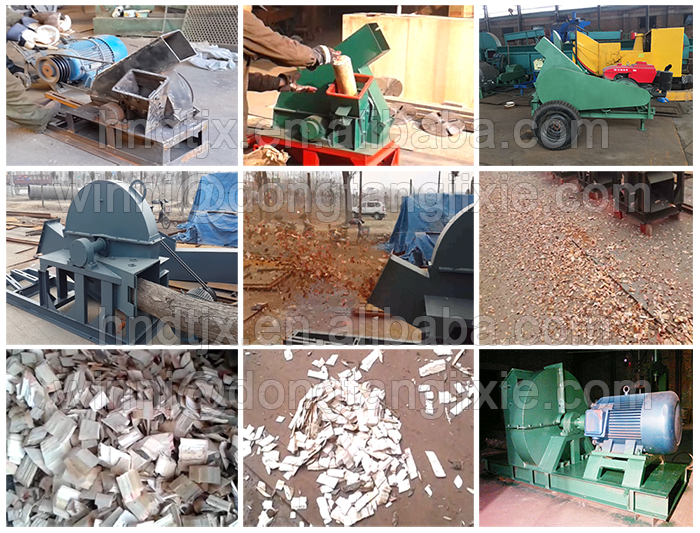 For wood logs, qualified rate is more than 90%. The length of wood chips can be adjusted by adjusting the bottom knives spacing to meet the user needs. 1. What materials do you mainly handle? What are your materials maximum diameter or size? 2. What capacity do you require per hour? 3. Where will you use the wood chips to? What size do you require?